View your reports on the go! Spending by Envelope Report. This colorful report shows what you spent on each category for this month, last week, last month…or whatever time range will help you understand your spending. Tap on your Food, Fun, or Vacation Envelope to highlight it. A fresh, new look for the app you love. 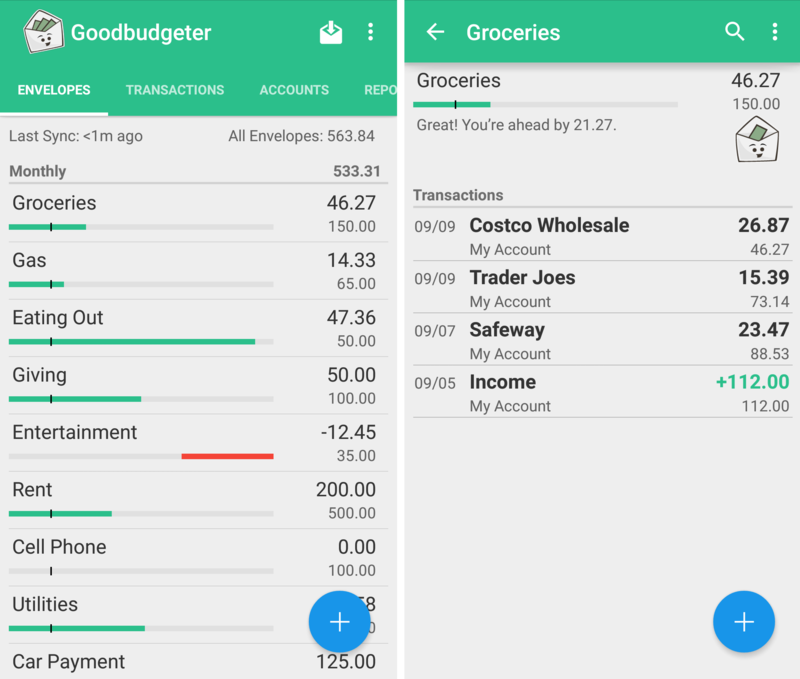 Goodbudget for Android gets a Material design facelift! Check out the vibrant new color scheme, and the new Add Transaction button. 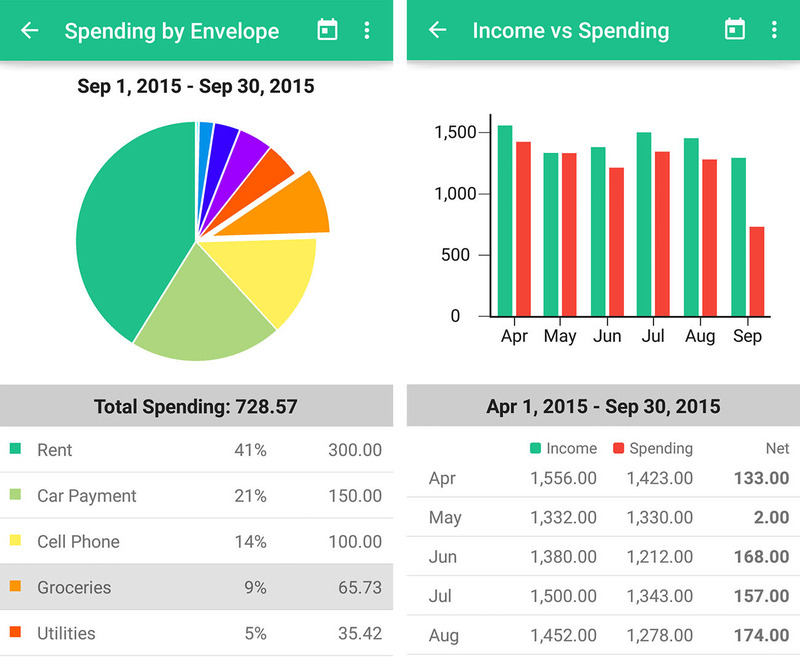 Now, adding expenses is just a thumb’s reach away — and staying on budget just got easier! Go to the Google Play Store to update! Great job guys! My wife and I enjoy using your software every day and appreciate that you keep things fresh and up to date! Hi Ben – Thanks for the encouragement, and I’m glad to hear you’re enjoying the new look and reports!